Our first week of the new kourse, Imagining, has begun with a blast! In this video, I explain how I approached the homework assignment for Koosje’s klass, week 1. 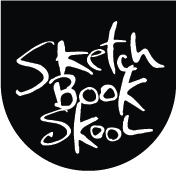 It’s not too late to join us at SketchbookSkool.com. I wouldn’t have thought of going this way but it opens so many doors to me. Thank you Danny. Thank you to you and Koosje for a brilliant Imagination kourse. I love you but! More drawing, less facing!